Bennick was not sure he had bought an entry for the game so he bought a second ticket with the same number combination. When the number combination was drawn, he won two grand prizes. 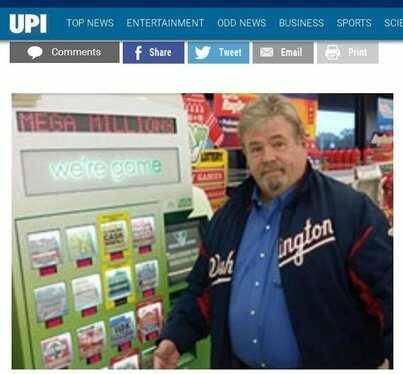 Since he bought his entries from different outlets, two stores now stand to receive $10,000 bonus checks for selling the winning tickets.